A City of LA Landmark - on the National Register of Historic Places. 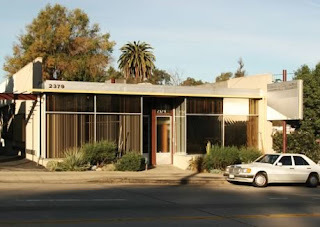 The only surviving example of Neutra commercial design that is still intact! Own/protect a Trophy Property by one of the seminal architects of the Modernist movement in Los Angeles. Original Neutra-designed built-ins and interior detailing. Open floor plan suitable for Creative Office/related uses. Note from hotnewdesign.blogspot.com to realtors: we love Neutra but we would have liked to see a classic 1950's Benz in front of this building, instead of the 1980's Benz which nobody wants to remember. Please do this building some justice.